Cavitation being a significant cause of wear in engineering context is the formation of vapor cavities in small liquid free zones, in the form of bubbles or voids, which are the consequence of forces on the liquid. In other words, it is the breaking of a liquid medium under excessive stress. It normally occurs when the liquid undergoes a rapid change of pressure causing the formation of cavities due to low pressure and when subjected to higher pressure, the voids generate shockwave and implode. The collapsing voids which implode towards the metal surface give way to cyclic stress due to repeated implosion resulting in surface fatigue of the metal leading to a type of wear also known as cavitation. There are four types of inducing a bubble growth namely gaseous cavitation, for a gas filled bubble, pressure is increased or reduced in temperature. Vaporous cavitation is applicable for a vapor filled bubble by pressure reduction. 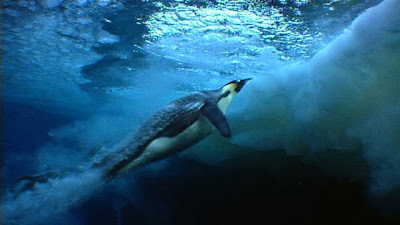 While for a gas filled bubble, which is diffused, is known as degassing, as the gas comes out of the liquid, vapor filled bubble, rises with sufficient temperature, is called boiling. It is the use of cavitation intending to create bubble of gas in a liquid which is large enough to cover an object travelling within the liquid, reducing the skin friction drag on the object thus enabling the achievement of great high speeds. It current applications are limited to projectiles, extremely fast torpedoes as well as some propellers but the techniques could be extended to include the whole vehicle and this phenomenon can also be used for fast strike of the appendices of the crustacean mantis shrimp which is used to attack and kill its prey. 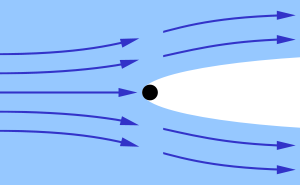 For supercavitation techniques, an object is composed of a specially designed nose, usually shaped flat with sharpened edges and streamlined body which is both aerodynamic as well as hydrodynamic. When the object travels in water at a speed of 100 miles an hour, the nose deflects the water swiftly thus forming a bubble and the speed of advance through the water prevents the water pressure from collapsing the bubble. Gas if injected in the resulting bubble which is a process known as ventilated supercavitation or if adequate speed is maintained around 110 miles per hour, the nose results in creating an extended and constantly renewed bubble of air which enables the object to fly. Cavitation is classified into two types of behavior namely inertial or transient and non inertial cavitation. While inertial cavitaion is a process wherein a void or bubble in liquid collapses rapidly, producing shock wave, it takes place in nature in the strikes of pistol shrimps and mantis shrimps as well as in the vascular tissue of plants. In the case of manmade items, it occurs in control valves, pumps, impellers and propellers. With regards to non inertial cavitation, it is a process wherein the bubble in a liquid is compelled to oscillate in shape or size from energy input like an acoustic field which is often employed in ultrasonic cleaning baths and observed in propellers, pumps etc. 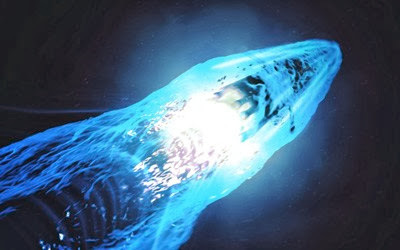 Cavitation is basically undesirable since shock waves formed by collapse of the voids are known to be strong enough to cause considerable damage to moving parts. It is often specifically avoided in machine designs namely in the case of turbines or propellers thus eliminating cavitation as a major field in the study of fluid dynamics though it is at times useful and does not cause much harm when the bubbles collapse from the machinery as in the case of supercavitation. Cavitation in water occurs when the water pressure is below the water’s vapor pressure thus forming bubbles of vapor when the water is moved to high speeds while turning a sharp corner around a moving piece of metal as in the case of a ship’s propeller or a pump’s impeller. Greater the depth of water or pressure for a water pipe, at which the fluid rises, the lesser the tendency for cavitation due to the difference between the local and vapor pressure. Its technique was first used in World War II Germany when supercavitating torpedoes were manufactured and tested but was never used during the war. After the war, the Germans and the Russians only were reported to be in possession of supercavitating weapon systems where the Russian had Shkval torpedoes using rocket engine to gain a speed of 200 knots underwater with a part of the rocket exhaust which was directed to the front of the torpedo to enable the supercavitating bubble. The Germans in their turn started deploying their supercavitating torpedoes in the year 2004. The Russian too had assault rifle for underwater work which was used by their combat swimmers or frogmen. These were developed at the same time as the German HK P11 underwater pistol, which is used by Dutch, German, Norwegian, Danish, Israeli, together with other units of the British SAS and US Navy SEALS as well as other special operational groups.